We were in Singapore, the 4th richest country in the WORLD, and it was cool. First we went to a bird park. We saw penguins getting fed, and I thought to myself, it must be really cool to have that job. Next we saw a bird show; in the middle of it a guy came up to me and asked if I wanted to be in the show. So I said yes. He put food in my hand. Suddenly 2 cockatoo’s came out of a nest and landed on my arms. So 2 thoughts came into my head. That evening we went to a night safari; we saw a lions, tigers, and bears. Oh My! 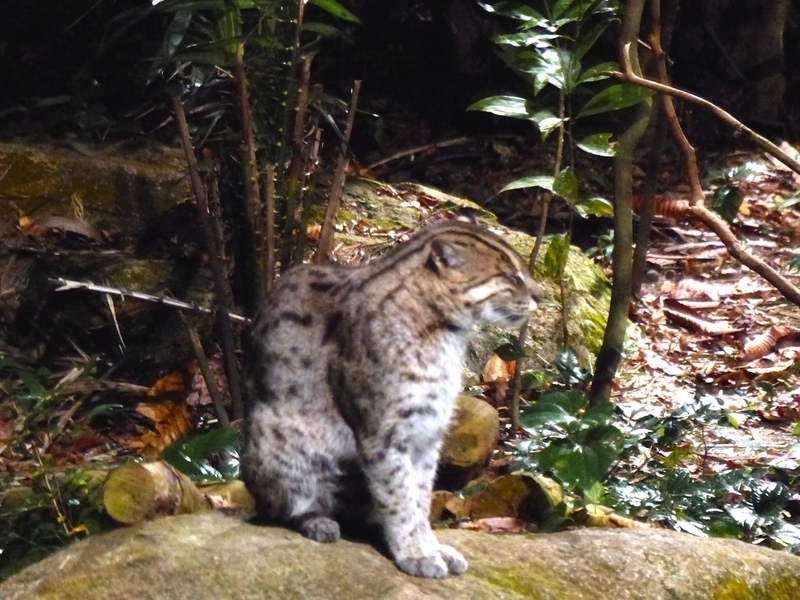 My favorite animal I saw was a fishing cat [it is a little cat, but the cool thing is it has webbed feet 🙂 ].